On August 29, 2018, hosted by Beijing Infrastructure Investment Co., Ltd., the “Beijing Investment System Big Data Forum” with the theme of “Data creates future value and wisdom leads rail transit” was held in Beijing. Beijing Investment Rail Transit Technology Holdings Co., Ltd. (hereinafter referred to as “BII Railway Technology” or “Company”) was invited to participate in the forum, and together with the relevant management departments and enterprises participating in the forum, studied and discussed how to provide better service for operation management of urban rail transit through big data, how to use the big data to explore the greater business opportunities in the rail transit industry, how to use the big data to provide decision-making reference for the sustainable development of urban rail transit, and jointly promote the development of rail transit from informationization and intelligence to a higher stage of intelligence. 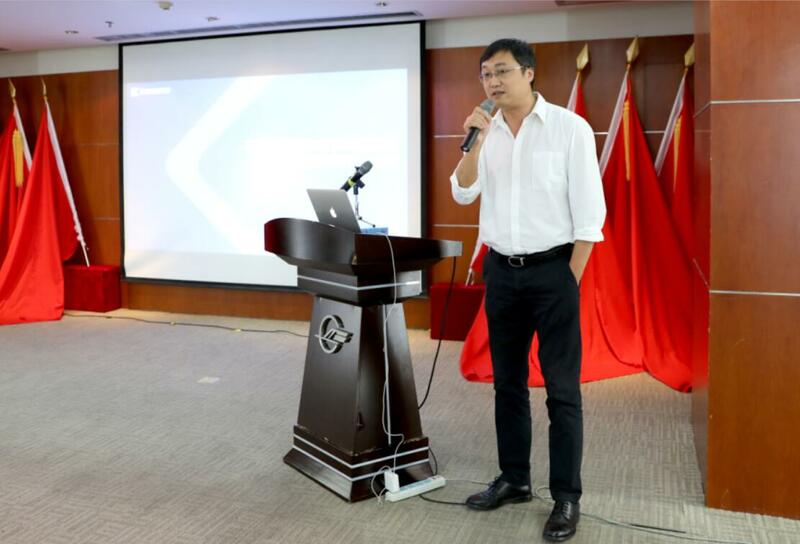 At the forum, Tian Kexin, general manager of the company's information business department, delivered a keynote speech on "Thinking and Practice of Informationization Model Based on Big Data in the Smart Rail Transportation Industry". The speech first analyzes the status quo of information technology of rail transit enterprises from four aspects: investment, construction, operation and management. It is proposed that enterprise informationization should be transformed from a demand-oriented system construction to a data-oriented overall design. The management domain is integrated with the guidance of asset management. The production domain takes the big data platform as the initial end, opens up the production domain and the management domain at the data level, and builds a corporate information model based on big data. Subsequently, the speech took the Zhengzhou Metro ANCC project and the Nanjing Metro NCC project as examples; more vividly explained the practice of BII Railway Transportation Technology in the informationization of rail transit enterprises.